When you teach a course called “Diversity in Media”, Jussie Smollett provided one heck of a teachable moment. As a veteran minority journalist, I use my nearly 40 years as a TV, radio and print reporter to approach the class how a Vietnam Vet might teach the war. I’ve been through all the diversity coverage and employment battles. To add the broader historical foundation, I use News for All The People: The Epic Story of Race and the American Media, by Juan Gonzalez and Joseph Torres, which begins with the first newspaper, Publick Occurrences Both Foreign and Domestick in 1690, and takes us through Jackson, the Trail of Tears and beyond. With that as a backdrop, in class we discuss how the media has tried to be that perfect mirror to capture our ever changing and diverse society. Enter the Smollett case which adds the three modern day factors that have changed journalism, the media and our society. The first is fame/celebrity; the second is technology/social media; and then finally, there’s the third, the extreme desire for wealth (billions, not millions), or quite simply greed. Coincidentally, all three factors might explain why the U.S. has the president it has now. That’s not exactly high ground, but it shows how we’ve sunk as a society. I am proud to say when the whole Smollett saga began soon after that 2 a.m. walk in the cold for a Subway sandwich in Chicago late January, I resisted the story. I saw it on social media and I did nothing. I’m a professional journalist. I didn’t know enough to comment. I watched. And then saw social media do its thing. The story blew up. With Smollett being 4th billed on Fox’s “Empire” show that routinely draws 7 million an episode, fame started to add its magic. Smollett did have the noose symbol present, complete with rope burns and bruises. It appeared to be truthful, especially when suspects emerged. I stayed out. Then came journalism’s turn, but it was more sympathetic than skeptical. He did say he was Black, didn’t he? Or was he just a gay victim and his attackers were mere homophobes and not racists? There was plenty to be skeptical about. But in the third and final segment of his interview, Smollett managed some tears around 4 minutes in to attempt to make his case. Does he deserve an Oscar for that? In the end, this wasn’t about any of the race matters nor Smollett’s sexual orientation. Diversity was his shield for more powerful human desires. Pain of racism? Nope. This was a career move. That’s what the Chicago Police and the Cook County prosecutors say after charging Smollett with a felony for filing a false police report. It carries a 1-3 year prison penalty and fines up to $25,000. The authorities say Smollett is a liar who staged the whole matter because he was dissatisfied with his pay. When Smollett did his perp walk he looked like a wounded MMA fighter exiting the court house. But he showed up hours later at the Chicago “Empire” set to do the final two episodes. To everyone’s surprise, he apologized to his TV family, maintained his innocence, according to reports. Is it like O.J.’s search for the real killers? The next morning executive producers dropped him for the remainder of the season. I told my class you have to be prepared that humans will do venal things, like lie. As reporters, you report what you know. You attribute what you know. And you maintain your skepticism. A single source story gets you Jussie Smollett. And a lot of opinions. Mostly I blame social media and the speed of technology for the story. With social media we essentially have a big backyard fence, where the Tweeters roost and gossip as events happen. It got so big and noisy the story went viral. Like a disease. And that’s coverable. Big noise becomes big news. But look at what it has exposed. This story may turn out not to be about race and sexual orientation — the diversity matters that might divide us. If the police case is true, it shows real common ground in some modern human desires — for fame, wealth, by whatever means necessary. It’s not the highest ground. It’s negative common ground. As I said the mention of MAGA was somewhat ironic. Its chief perp is the master of self-interest. And with the man whom The Washington Post Fact-Checker says has lied or misled the country in his statements more than 8,000 times since taking over as President, self-interest rules the day. Was Smollett acting any differently than any other self-respecting narcissist would? I tell my class to follow the story. And to expect fallout in other similar type of stories where hate violence is alleged. Smollett’s fame and relative wealth made him instantly believable. I expect other less famous, less wealthy people of color and other minorities to experience a new lag time of doubt — The Smollett Zone, if you will. It’s the new price of credibility when social media speed and viral nature debilitates the news to media’s search for the truth. 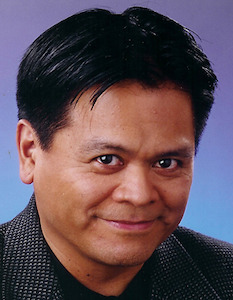 Emil Guillermo is a veteran journalist and commentator. He is an adjunct lecturer at San Francisco State University. He writes for the Asian American Legal Defense and Education Fund. You can follow him on Twitter @emilamok.